Several Bronx gang members were arrested, including alleged gang leader Cesar "Ces" Rivera. MELROSE (WABC) -- A notorious Bronx gang faced a massive crackdown on Wednesday with the arrest and indictment of over 20 of its alleged members, including the gang's leader. The gang is accused of committing murders, attempting murders, manslaughter, drug sales and several other crimes. Bronx District Attorney Robert Johnson announced 97 counts of indictment of accused crimes committed during a five year period, which ended on Aug. 20, 2015. The police had arrested 27 members of the gang in the Bronx in an overnight takedown, following a six-month-long investigation by the NYPD Gang Unit and the Bronx DA Gangs/Major Case Bureau. All gang members who were present in court - gang leader Cesar "Ces" Rivera, Luis "White Monkey" Perez, Luis "White Boy" Perez, Travis "Rav" Bloch, Jamarly Wiliams, Michael Jones, Raul "Ski Mo" Calvin, Malik Williams, Tyschuller Harris, Jonathan "Casper" Smaine, Shaem Zaballa, Jordan Gulley, Felix Rodriguez, Glen McCoon, Paula "Romeo" Garcia and others - pleaded not guilty to Justice Steven Barrett on Class A-1 felonies, such as Murder in the 2nd Degree, Operating as a Major Trafficker and Conspiracy in the 1st Degree. Two major homicides that gang members allegedly committed included the December 2014 death of 27-year-old Timothy Hairston, who was shot multiple times outside a pharmacy on 165th Street and College Avenue, and the May 2015 shooting of 14-year-old Christopher Duran who, according to an article in the Daily News, was hit with 16 bullets outside his home in the Bronx. The members also stand charged with crimes for five non-fatal assaults, one of which was a stabbing. The rest were shootings. "As alleged, these members participated in and promoted violent gang activity that eroded the quality of life for the people who live and work in the surrounding neighborhoods," said Police Commissioner William J. Bratton, in a press release from the Office of the District Attorney of Bronx County. This so-called reign of terror occurred in and around the Melrose section of the Bronx, with the gang running its operations between 166th and 167th Street and College Avenue, and 164th to 167th Street between Grand Concourse and Clay Avenue. 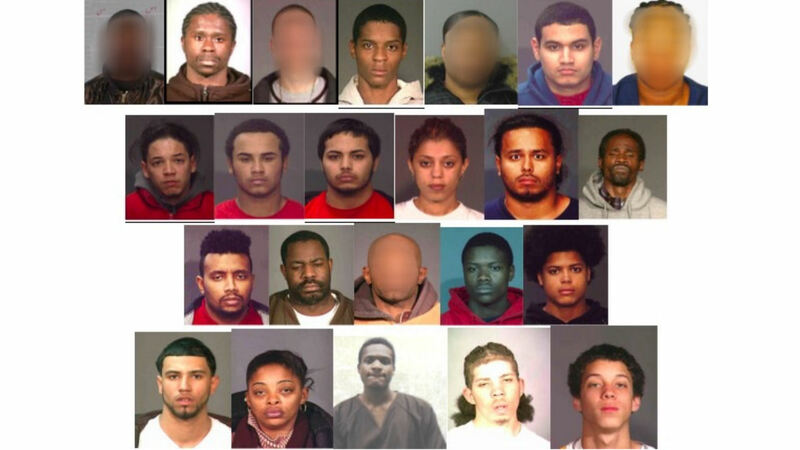 "The leaders of this group are alleged to have not only participated in the worst of crimes in the Bronx, including killings, shootings, and spreading illegal drugs throughout the borough, they are charged with doing so in the worst way, by recruiting young teenagers to do their bidding," said Johnson. One of the indictment charges is that Rivera, the leader, posted a hip-hop anthem to Facebook allegedly describing how they hustle young gang members to do most of the action, as they would supposedly not face as much prison time. Some of the members facing charges, including Julian Cepeda and Jeremiah Thomas, were barely teenagers when they joined the gang. All of these charges against the defendants are still only accusations, and are innocent until proven guilty. The case against the gang is being prosecuted by Senior Trial Assistant Christine Scaccia of the Bronx DA Gangs/Major Case Bureau and A.D.A. Sheryl Konigsberg of the Narcotics Bureau. "We remain dedicated to making the Bronx safe for all its residents and visitors," Johnson said.